Etherea concept hints at a future entry-level car for Infiniti. Infiniti released the first images of its new Etherea concept car. The concept will debut at the Geneva motor show on March 1. "Etherea is about a new type of luxury for younger buyers," said Toru Saito, global chief of the Infiniti brand. "It is not just a smaller version of a typically conservative and traditional luxury car." The concept previews a future entry-level car from Infiniti. 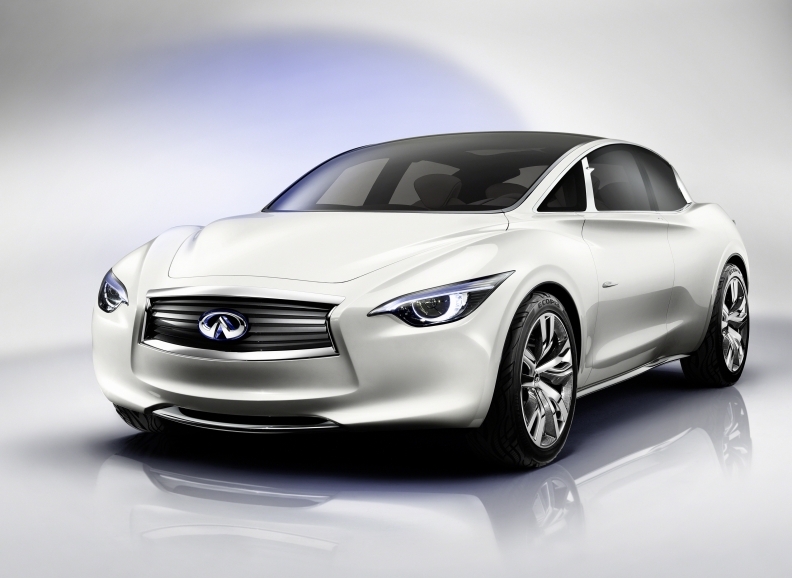 The Etherea concept is about the same size as the Nissan Versa, but Infiniti says the concept is space-efficient.. The Japanese automaker says the concept uses a new mechanical layout and innovative access arrangements. The design also incorporates new interpretations of traditional Japanese materials and finishes, according to Infiniti.